Living... onboard a massive state-of-the-art jet, affectionately known as “The Bus.” That’s her homebase as an agent at the Strategic Homeland Intervention, Enforcement and Logistics Division (otherwise known as S.H.I.E.L.D.). Visiting... just about anywhere. Her job with S.H.I.E.L.D. takes her all over the planet doing things you don’t have the security clearance to know about. Profession... S.H.I.E.L.D. agent. The secretive government agency handles peacekeeping, intelligence gathering, and the “gifted” humans that keep popping up in a world where Iron Man, Thor, and The Hulk are household names. Her team leader, Phil Coulson, enlisted May as the pilot for The Bus. But her expertise in the field also comes in handy on most missions. She also serves as Coulson’s second-in-command. Relationship Status... divorced. May doesn’t like to open up about her personal life, so the rest of the team know very little about her ex-husband. Personality... cold, efficient, stoic, loyal, and guarded. 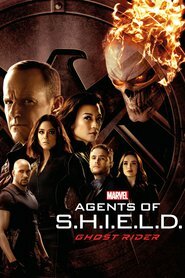 May is a woman of few words and most of her team see her as a mystery, although she has a warmer friendship with Coulson. Some view May as robotic, but she actually just has a very dry sense of humor and an introverted personality. She’s also fiercely protective of her colleagues and would do anything to keep them safe. Melinda May's popularity ranking on CharacTour is #180 out of 5,000+ characters. See our top-ranked characters and read their profiles.